Do you feel like you need to take a break from all the ugly things that are happening in the world right now? Maybe putting your head in sand is not a great idea, but making something new and exciting might just take your mind off the things you think you can control but actually can’t. Dig through your stash and find that beautiful cake of ombre yarn that you’ve been keeping for just the right pattern, for just the right moment. 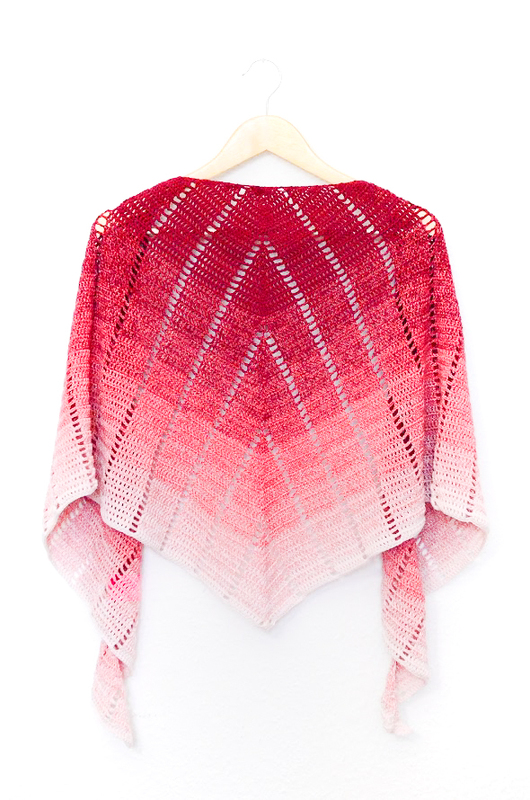 It can be a Whirl, a Bobbel Cotton or any other yarn with a long and beautiful gradient. That moment is now. 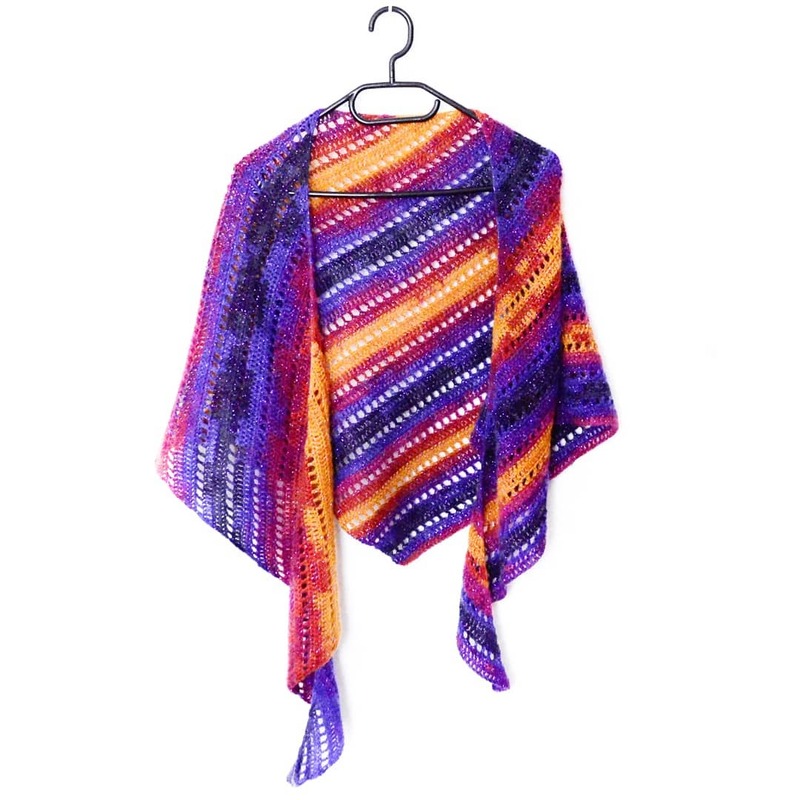 Pick up that beautiful yarn, pick up the hook that goes with it, download the pattern below and start making yourself something pretty to wear this spring and summer. I’ve done my best to make this pattern as clear as possible, but it will still benefit from testing. If you tested this pattern, please fill out this feedback form. The testing will end on April 28th and the final version of the pattern will be available on May 1st. If you can’t wait for the testing to be finished and want the pattern now, click the button below to download the current version of the pattern. If you want to put the pattern in your Ravelry queue, please follow this link. 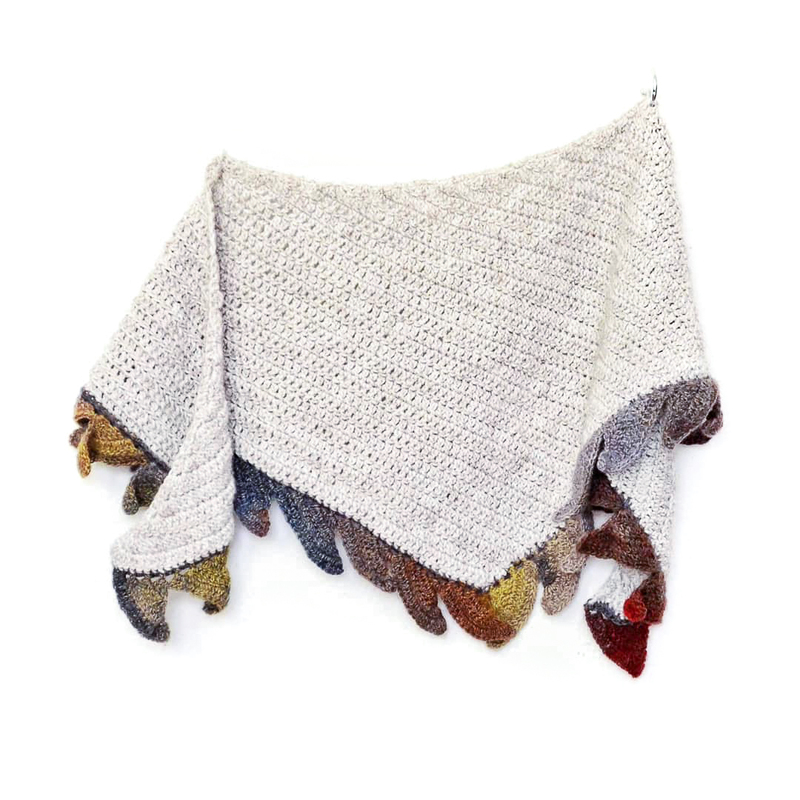 Don’t forget to link your project to the pattern page on Ravelry and tag me @andi_bede or use the #raspberrycroissantshawl on Instagram, so I can see and share what you made. If you’d like to know when I publish new patterns, sign up for updates and I’ll let you know.